Dan Gilroy's directorial debut "Nightcrawler" is a thrill ride through the underground crime video scene in contemporary Los Angeles, situated around the rise of a sociopath so un-empathetic he makes "American Psycho"'s Patrick Bateman seem likeable. Jake Gyllenhaal stars as Lou Bloom, a mysterious down-on-his-luck 20-something in search of work, committing brief acts of thievery along the way. After stumbling upon an accident on the side of the highway and talking to a team of cameramen on the scene, Lou is drawn to a form of freelance videography in which cameramen film crimes and sell the tapes to the highest bidding news station. What follows is Bloom's sociopathy, leading from uncomfortably close shots of blood and carnage to Bloom getting a little bit too involved in the crimes he's filming. Though Gilroy's screenplay is most certainly an incessantly clever bit of edge-of-your-seat excitement, it is Gyllenhaal's portrayal of Bloom that truly sells "Nightcrawler." Bloom is not a sociopath by action; in fact, throughout the film, he rarely shows any pension towards violence or anger, save for the opening scene and a 20-second mirror-shattering mental break in his apartment. Rather, Bloom is cold, analytical and extremely well spoken, yet emotionless.  He deals with every conversation as a hostile negotiation, from simply asking his assistant Rick (Riz Ahmed) not to spill gasoline on the side of his car, to an insanely manipulative sexual negotiation with Channel 6 News Producer Nina (Rene Russo), Bloom is cold, calculating and without any sense of charisma or personal relations. Rick: You know what your problem is? You don't understand people. Lou: What if my problem is not that I don't understand people, but that I don't like them? What if I was obliged to hurt you for something like this? I mean physically. Visually, "Nightcrawler" is stunning without a pretense of CGI or any sort of special effects, save one badass chase scene. Much of "Nightcrawler" is based off of a neo-noir style of cinematography much akin to Nicholas Winding Refn's "Drive." Bloom's cherry-red Challenger cruising through the LA night is a beautiful visual that serves as a cut scene throughout "Nightcrawler." Perhaps one of the most visually compelling scenes is a somewhat romantic scene between Nina and Lou, where they slowly lean in for a kiss that never happens in front of the footage of a carnage-ridden crime scene Lou had just shot (and partly set up) in a dimly lit newsroom. It's intentionally a romance cliche, playing off of the absolutely abhorrent relationship Lou has with Nina. A subtle, gorgeously shot bit of cinema that perfectly epitomizes the darkness and cynicism of "Nightcrawler." In fact, though the main plot is great, the subtle romantic undertones between Lou and Nina is more than worth giving this film a watch, from the most horrendous first date possible budding into a grotesque mutually parasitic relationship. 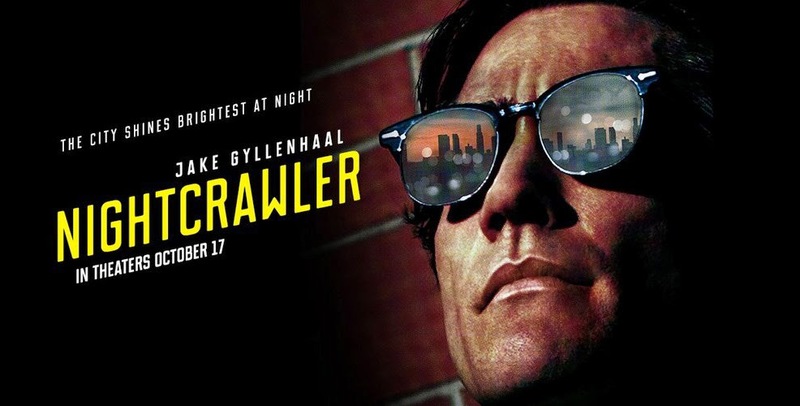 Nightcrawler, though lacking a satisfying conclusion, is a great stab at the noir style, and, coupled with Gyllenhaal's tremendous portrayal of a remorseless sociopath, is an all-around great piece of cinema.